EXHALE artists DVD, audio-CD and booklets exploring asylum/refuge – box set on sale now! Climate justice stories from across the world weaved together via Afrobeat influences, experimental electronics, English Folk and deconstructed imperial anthems. Continent Chop Chop asks: What are the connections between climate change and poverty? How does the wider climate of austerity and scapegoating of migrants connect with climate change? And why should anyone care when they don’t have enough to eat? Featuring commissioned recordings and footage from Nnimmo Bassey, a Nigeria-based leading environmental activist, and from Zena Edwards, a London-based performance poet, writer and musician. A performance project by the Virtual Migrants collective. Devised and led by Sai Murray (writer, performer), Aidan Jolly (musician, composer) and Maya Chowdhry (transmedia artist). Supporting artists: Tracey Zengeni (vocals, performer), Jaydev Mistry (musician, digital soundscapes), Kooj Chuhan (video artist), Mazaher Rafshajani (photography and video). Information on our participatory workshops to be announced soon. These posters were often in the youth clubs and community centres that we worked in, running creative, campaigning and discussion activities focused on anti-racist and suppressed historical ideas and knowledge. They gave a continuity in the environment that the people who used the building could continue to reflect on after the activities and workshops, in an immediate and visual way without too much text clutter. I really think we need this kind of stuff again in our physical environment, maybe the digital world makes us forget these possibilities? Migrant crisis: tackle the cause and not the symptom? Condemn murder but DON’T be Charlie! Important and critical article by Arun Gupta, ‘How the People’s Climate March Became a Corporate PR Campaign’, originally published at http://www.counterpunch.org/2014/09/19/how-the-peoples-climate-march-became-a-corporate-pr-campaign/ . I’ve never been to a protest march that advertised in the New York City subway. That spent $220,000 on posters inviting Wall Street bankers to join a march to save the planet, according to one source. That claims you can change world history in an afternoon after walking the dog and eating brunch. Is a man worth nothing when he is branded illegal? Tipu Chowdhury has spent the past 17 months wondering. The answer has not been easy. Even now, after being forced to endure subhuman living conditions, after being starved and worked like a slave, the Bangladeshi does not speak ill of Greece. Instead of anger, there is resignation, an almost fatalistic acceptance that this is the life meted out to those who go “undocumented”. Had he and his fellow strawberry pickers not been shot at – had the case not reached the courts and the men who did the shooting not been scandalously freed – he might not have pondered the question at all. This week, unions, anti-racist groups and peasant workers’ associations will launch a solidarity campaign in support of the Bangladeshis, starting with a mass demonstration timed to coincide with a speech the Greek prime minister, Antonis Samaras, will give on Sunday outlining the government’s economic policy at the international trade fair in Thessaloniki. As preparations get under way, 33-year-old Chowdhury has found himself reliving the events of that day, one that would go down as the worst assault in Europe on migrant workers in living memory. A few important articles here – this article (on Al Jazeera): “India’s forgotten solidarity with Palestine” http://www.aljazeera.com/indepth/opinion/2014/08/india-forgotten-solidarity-with-p-2014848848765551.html , and also this on ShahidulNews: “Military Ties Unlimited. 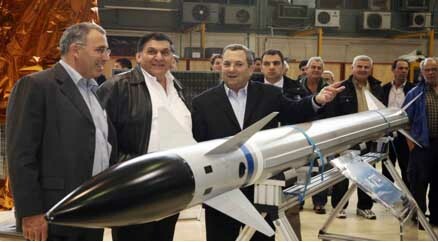 India and Israel” http://www.shahidulnews.com/military-ties-unlimited-india-and-israel . South Asia Solidarity Group condemns Israel’s genocidal attack on the people of Gaza. We mourn the deaths of thousands of men, women and children killed in Gaza – not because they are disproportionate but because ‘proportionate’ does not make sense in a genocide. We condemn Israel’s colonial policy of collective punishment which has held Gaza under siege – starving the population of essential needs and then deliberately bombing hospitals, schools and homes; killing people as they flee from the bombing; flattening vast areas of Gaza and destroying its power supply and water. This is a policy which we as South Asians know from our history. In India it was used by the British colonialists after the 1857 uprising – India’s first war of independence – to wipe out entire populations in village after village. Like the Palestinians they were killed not because they were convicted of anything, but because they were people of targeted regions. In that period too, all freedom fighters and all those who resisted or even dissented were constructed as terrorists. Everyone was regarded as a ‘insurgent’. We condemn the Indian government for its shameful silence and ambiguity over Israel’s genocide and its refusal initially to even discuss the issue in Parliament. The present Indian government, led by the right-wing BJP, with its ideology of Hindu supremacy, is betraying India’s own history of anti-colonial struggle. This history was the reason why India was, for four decades after independence, unequivocally committed to freedom for Palestine. Indian freedom fighters spoke out wholeheartedly in solidarity with Palestine’s struggle. Gandhi famously declared that “Palestine belongs to the Arabs as England belongs to the English or France to the French.” This is the understanding which informs all those hundreds of thousands of people who, in the last few weeks, have demonstrated across India against Israel’s genocide..
We condemn the Indian government’s violent response to these peaceful demonstrations which led to hundreds being injured and the death of fifteen year old Suhail Ahmad in police firing in Kashmir. Why is it a crime in India today to demonstrate in solidarity with Palestine? Why are pro-Israel forces welcomed and pro-Palestine demonstrations brutally attacked by the police? We condemn India’s ‘deepening relationship with Israel. Over the last two decades, India’s ruling class has embraced neoliberalism and grown closer to US imperialism and Indian governments have advocated a ‘pragmatic’ relationship with Israel. Between 1998 and 2004 when a BJP-led government was in power for the first time, this relationship became even closer with a growing affinity between Zionism and the BJP’s own ideology of Hindutva, each echoing the others’ murderous Islamophobia, both attempting to rewrite history, both specifically targeting Muslim women and children for the most inhuman violence and both profoundly misogynistic. The state of Gujarat was described, during the 2002 pogrom against Muslims as the ‘laboratory of the Hindu nation’. Today Gaza has become a laboratory of Zionism in which illegal weapons, cancer-causing bombs and other methods of extermination are used with a cruelty which no words are adequate to describe. Israel receives weapons from the US and UK but also manufactures and sells its own. India is its biggest customer. It buys a massive 50% of its total weapon sales- a huge contribution to Israel’s economy. Tens of thousands of Indian paramilitary commandos are armed with Israeli Micro-Uzis with which they kill mainly unarmed civilians in India’s central belt, where multinationals are involved in land grabs, or in Kashmir. The Barak-8 naval missile defence system, Mossad surveillance equipment and expertise, and a variety of drones are others in a plethora of weapons which India is buying and which are proudly on display at India’s Republic Day parade. We condemn these purchases. We stand in solidarity with the people of Palestine in their struggle for freedom!